Summer is definitely in Santa Barbara! It's the perfect weather to lounge all day at the beach, surf or just enjoy a good book. And what's the best way to cool down this summer season? Ice cream, of course! America's favorite dessert of all ages! Treating yourself to a scoop of ice cream on a warm day is refreshing and on a hot day, when the craving for a cone sets in, these are the seven places to go for a creative swirl of classic American soft-serve ice cream. Mc Connell's ice cream is definitely a classic and a Santa Barbara favorite. It's a must and if you're ever in town and not going to McConnell's that's just wrong. You must re-route. McConnell's offer shakes & ice cream & Malta and endless amounts of flavors and choices to choose from. The Shop is located right on State Street with all the shops. Perfect for an afternoon ice cream cone after a long day of shopping. Some of the local favorites are Salted Caramel Chip and Chocolate Covered Strawberries. Great Pacific Ice Cream has a great location in Santa Barbara's Stearns Wharf. It's always fun to walk along the pier with an ice cream in hand. They offer classic flavors and the thing that makes this place special are the fresh cones made on site and the location. Perfect for an afternoon Sunday stroll. A must try for your sweet tooth is the Strawberry Cheesecake on a waffle cone. Rori's is located in the Santa Barbara Public Market. It's a cute ice cream shop with unique flavors and even vegan options for people who avoid dairy. 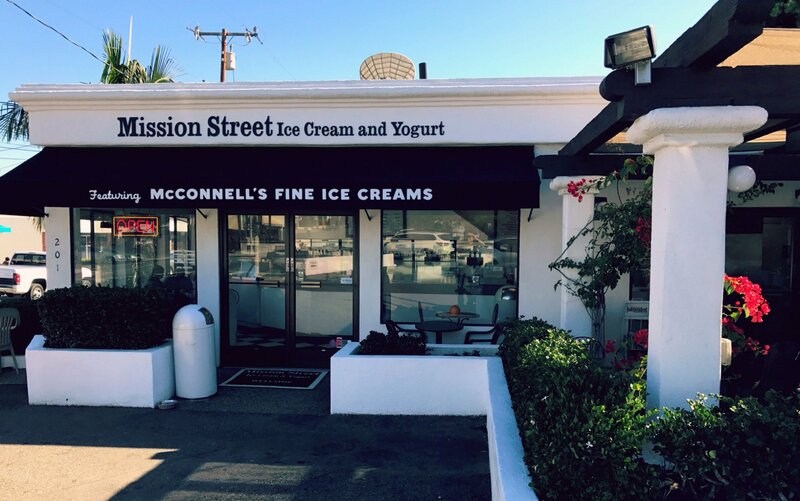 This is one of the best places to get ice cream in Santa Barbara, a must visit if you're looking for dessert after a heavy dinner or just craving for something sweet and cold. Try their Nutella Ice Cream or the Peanut Butter Chocolate Candy Swirl to further satiate your sweet tooth cravings. Frozen Yogurt became a big hit in Santa Barbara especially with the health conscious people who definitely take calories into consideration. But more than that, Fro-Yo is also a delicious alternative to regular ice cream. But what makes this shop stand out? They also offer McConnell's Ice Creams! If you're looking to widen your options, be sure to drop by and check their selection. In case you're craving for something more of Italian descent, Italy's gelato has quickly become one of America's favorite too. And the best place to get your gelato fix in Santa Barbara? Just along State Street, Gelato N More. 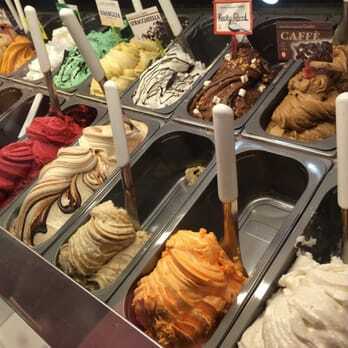 They offer a wide array of gelato flavors, frozen yogurt and soft-serve ice cream. If you're looking for something artisan, try their Honey Fig and it's a definite hit. But if you're on the classic side, The Pistachio Ice Cream is always a crowd favorite. A local favorite Ice Cream Shop in Montecito that has been around for almost 13 years. 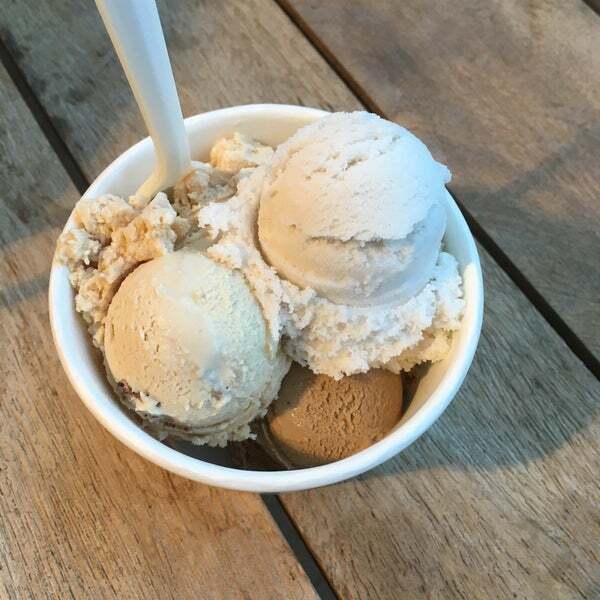 Offers a good variety of ice cream flavors to choose from and all of their ice cream is made out of real, carefully picked, ingredients and you can definitely taste the difference. A must try when you're in Montecito and craving for something cold and sweet to satisfy your taste buds.